Due to freezing temperatures and reduced visibility on the descent from Sestriere due to low clouds, the race direction has made the decision to modify the race route, removing the climb to Sestriere and the subsequent descent. 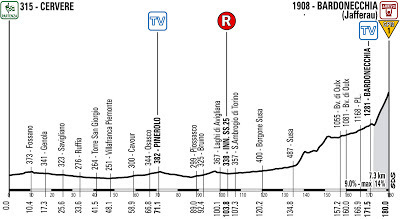 The new route is 180 km vs. the 168 km. 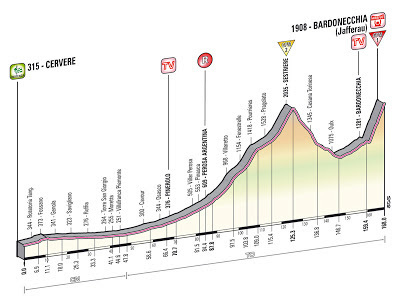 A very challenging uphill finish at the end of the stage (180 km). 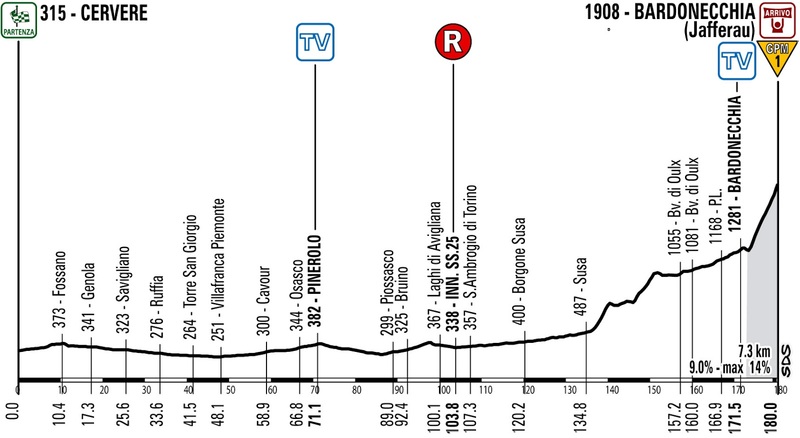 Flat as far as the Intermediate Sprint at Pinerolo (km 70.7). From Oulx, a false flat leading to the Intermediate Sprint at Bardonecchia. Then the final climb to Jafferau. Last kms: final 7 km, gradients of 9-10%, reaching 14% in the first part. Narrow road at Maillaures, on the steepest section, at about 6 km from the finish line. Finishing straight 50 m long......dirt. 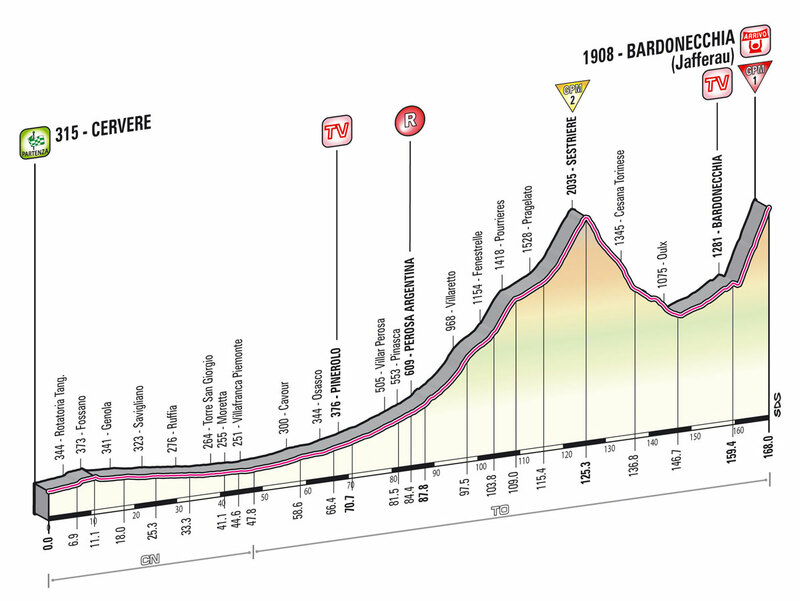 The race reprises the finish of Stage 14 of the 1972 Giro d’Italia, from the Savona-Bardonecchia/Jafferau stage, with its finish line at 1908 metres. The stage saw a magnificent battle between Eddy Merckx, in the Maglia Rosa, and the Spanish climber José Manuel Fuentes. Merckx staged a brilliant comeback, catching and passing the Spaniard in the final kilometer to win the stage, with Fuentes eventually finishing third. Second that day was Wladimiro Panizza (1945-2002), named after Lenin, and a domestique for Felice Gimondi and Franco Bitossi. His best grand tour was the 1980 Giro d'Italia, which he finished second. He completed a record 16 Giros d’Italia from 18 starts.